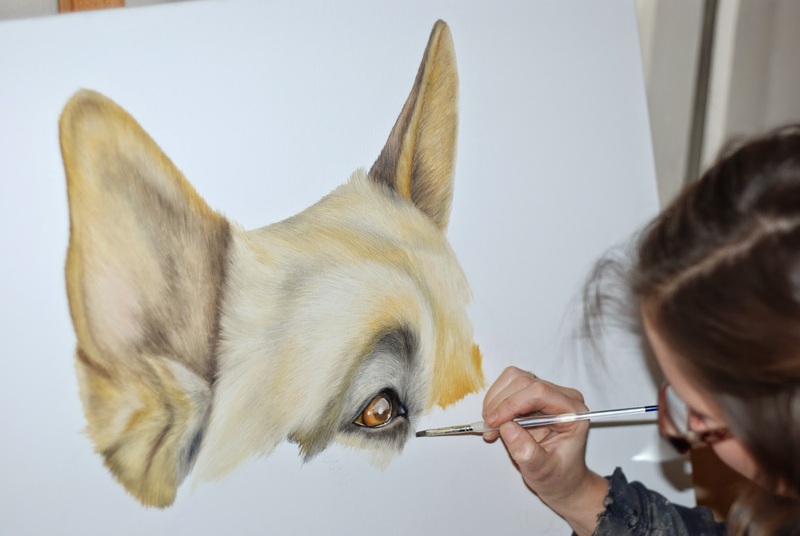 I met Peppers mum Becca at the Sturminster Newton Christmas Fair, Becca asked me to do a portrait of Pepper as a Christmas present for her partner and as soon as I saw her picture I couldn't wait to get started. 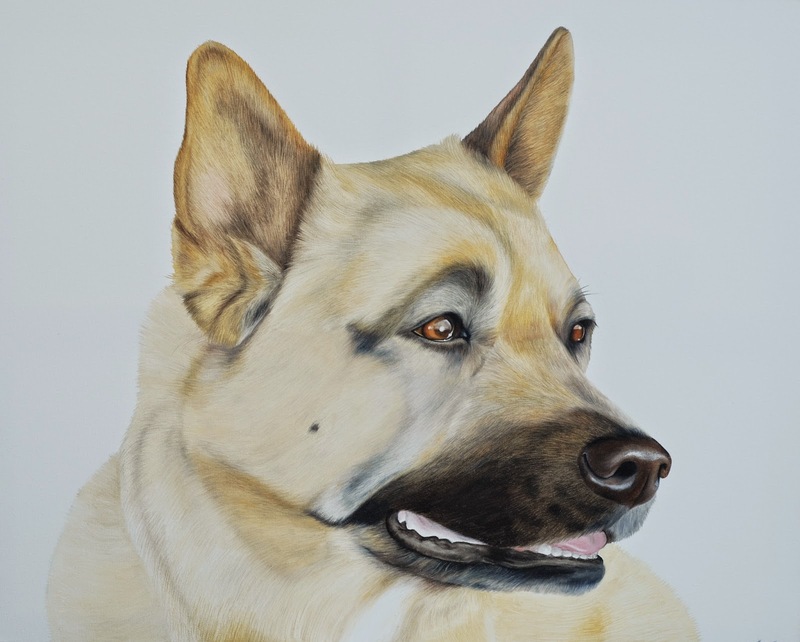 Pepper is a Japanese Akita Rottweiler, so not surprisingly, a breed I have never painted before! 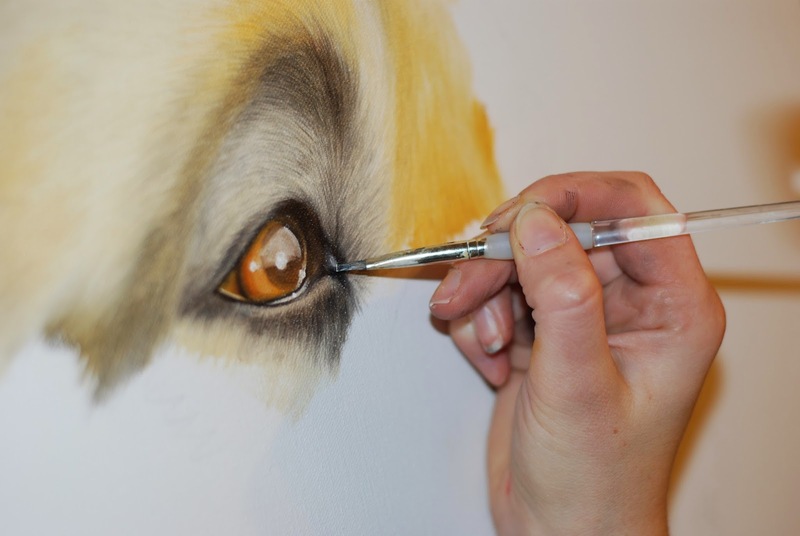 We agreed on an A2 size canvas, Pepper is a large dog so we wanted something that would really do her justice, there's so much detail to capture with her stunning colours and by doing it on this size canvas I was able to capture this. I have a feeling Pepper will get utterly spoilt this Christmas and so she should, she is an adorable and stunning dog!